In a post on his Cruiser-Network-Online Yahoo Group, Moderator Glenn Tuttle (M/V Tothill) reports that Javier Martin, the top suspect in two recent murders of cruisers in Panama, was arrested in a small town named Santa Fe which is along the Inter-American highway in the Darien section of Panama. He was most likely headed to Colombia. Reports state that Martin had been staying in a hostel there, registered under the alias of “A. North”, assuming the identity of Don North, whose middle name is Arthur. When arrested, he was in possession of a shotgun and two handguns, a large sum of cash (over $13,000), and Don’s credit card. According to recent posts by Don Winner on his Panama-Guide.com site, the first known victim of this supposed mass murdered, Jean-Pierre Bouahard’s body has now been found. The search of the Bouahard’s catamaran, Levante revealed traces of blood inside the boat along with documents including Don North’s passport. 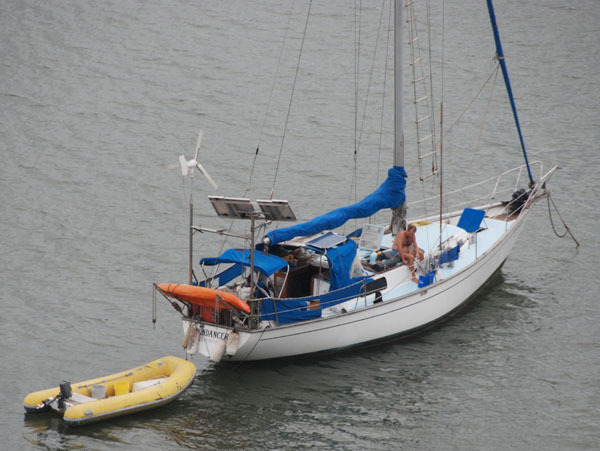 The authorities now plan to conduct a crime scene search of Don’s sailing vessel, Windancer. Says Tuttle, “As of now, Don’s body has yet to be located, and it’s undoubtedly in the San Blas, the island paradise he loved. And what about his little Schipperke dog, Kuna? Did the low life scumbag Javier kill the poor dog as well? Maybe he gave the dog to one of the Kuna Indians, so all cruisers need to ask about the dog. She is all black and about 20 pounds. Also, Don had a turtle as a pet which lived aboard his boat. Perhaps the turtle is still on board, so please somebody ask about the turtle. Read my previous post for more info. All facts and photos here are courtesy of Don Winner and the Panama Guide. Another Mysterious Cruiser Disappearance – But Panama’s Best Detective is on the Case! The Cruisers-Network-Online, a Yahoo Group, have been buzzing with posts this month about the mysterious disappearance of an American cruiser Don North of the sailing vessel Windancer. 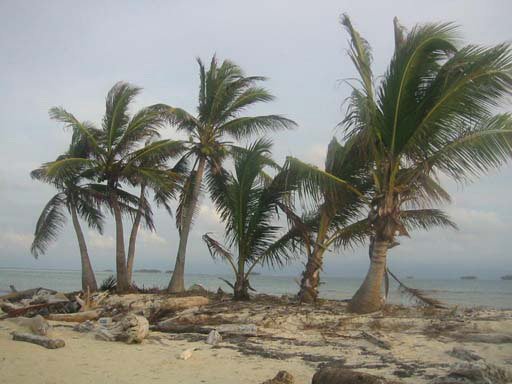 Don and his dog were thought to be enroute to Ustupu from Chichime in the Kuna Yala of Panama’s San Blas Islands. Clues have been scarce and the Cruisers-Network has implored people cruising the area of the San Blas, Portobello, Panama to Cartagena, Columbia to be on the look-out for Don, his boat and for a man named Javier Martin. Javier Martin is wanted as a person of interest in a homicide investigation ongoing in Panama involving missing cruiser Don North, and the homicide of a French cruiser named Jean Pierre. According to recent reports, Javier Martin is from Valencia, Spain, and described at a Latin male, approximately 5′ 7″-8″, thin build, with dark hair and eyes. His age is unknown at this time, but he appears to be in his 30s or 40s and very fit. 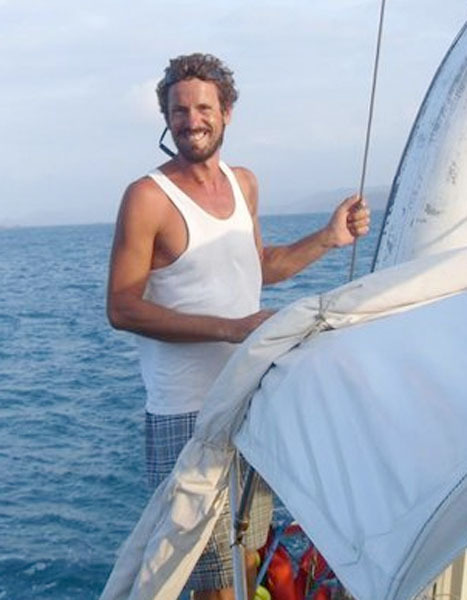 For years he owned a charter sailboat named “Twlya” in which he used to take backpackers between Panama and Cartagena, Colombia, and spent a lot of time in the San Blas Islands. Fortunately, Reporter Don Winner, editor of the Panama Guide.com is now on the case. You may recall from previous posts here, that Mr. Winner was a key investigator, (though unofficial) in solving the mysterious disappearance of resident ex-pats in the Bocas del Toro area of Panama last year. True to his name, Mr. Winner managed to put all the pieces of the puzzle together before the authorities and helped to solve the case which led to the arrests of William “Wild Bill” Holbert and his wife for the murders of an American couple among others living in this idyllic cruiser’s haven. After numerous calls for help from cruisers, sailors and boaters in the San Blas Islands area, information is finally beginning to flow and Don Winner is starting to put those puzzle pieces together again. Anyone who has any information regarding Javier Martin should contact the FBI in Panama City, Panama at telephone number 507-207-5000. Also you may contact Investigative Reporter Don Winner, editor of The Panama Guide.Com online newspaper at telephone number 507-6614-0451 or US number 845-514-9893. Special Thanks to Glenn & Eddie Tuttle, M/V Tothill and to Don Winner, Editor of The Panama Guide.com. Sausalito, California – October 7, 2010 – Safe Passage Sailing, LLC invites you to “sail with the best” in a world class regatta with world class skipper and mentor Suzette Smith, leading an all women’s crew. This will be an experience not to be missed! Whether it’s the adventure of cruising or the excitement of racing, there’s no place like being on a Safe Passage Sailing Charter. If you’re an intermediate to advanced female sailor, now you have the opportunity to join in on all the fun of the 38th International Rolex Regatta. The only requirement – Just The Desire To Be Part of the Team, Race and Have Fun! Register now to ensure your spot. Accommodations and airfare not included. Group hotel accommodations and transportation options TBA. Ms Smith has participated in numerous high caliber sailing campaigns such as Team Pegasus, the first and only all-woman America’s Cup team, America 3, which raced in the 1995 America‘s Cup defenders series, as well as other notable regattas around the world. RYA licensed Skipper/Owner Christian Reynolds and First Mate Lucy Jones will be onboard to assist and facilitate during the regatta. SPS welcome reception at the St. Thomas Yacht Club to meet your mentor and crew, and enjoy beer, wine and Hors d’oeuvres. Race day 1 – Harbor Race. 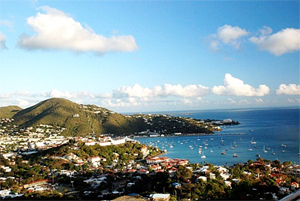 The morning course offers a downwind start and stretches to Charlotte Amalie Harbor, giving racers an opportunity to see St. Thomas’ beautiful and historic capital. The afternoon race starts in town and finishes back at the yacht club and festivities. Race day 2 – St. John Race. Round-the-rocks racing takes you along the south shore of beautiful St. John finishes back at the yacht club and festivities. Race day 3 – Pillsbury Sound Race. The final day’s racing takes place on scenic Pillsbury Sound, in and around the beautiful Cays. The Rolex Awards Ceremony takes place on the beach Sunday evening highlighted by the presentation of an abundance of prizes and video by t2p.tv. Northern Child was built in 1984 for an Italian owner, who has since become the owner of Nautor Swan. She is one of naval architect German Frers’ outstanding all-round designs and shares the same performance pedigree of Blizzard, a famous 51’ Admiral’s Cup racer, except that Northern Child was also fitted with a lavish cruising interior and the hull sections were enlarged to accommodate the increase in displacement. 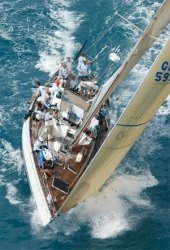 Fast and easy to sail, Northern Child is a fine balance between a racing and cruising yacht. You can download our Press Release HERE! 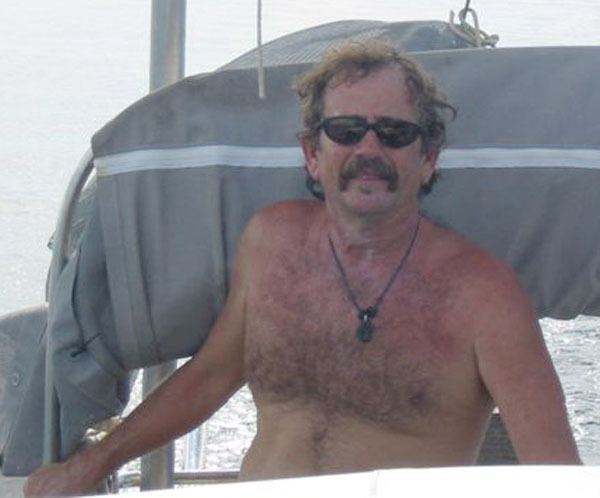 aka “Wild Bill” who may be on their sailboat in the Chiriqui Gulf. William Adolfo Cortez Reese aka "Wild Bill." According to KTVI-FOX2Now.com (St. Louis, MO), Cher Hughes body was discovered on Tuesday in a shallow grave in Panama. Authorities believe she was murdered. Don Winner, a freelance journalist for the website Panama-Guide.com has been working with law enforcement on Cher’s case. He says Cher Hughes was last seen with William Adolfo Cortez Reese aka “Wild Bill.” She was at a party at his Panama home. Winner says police found Cher’s body on Reese’s property. Law officers say Reese and his wife, Jane Cortez, are now the prime suspects in her murder. The skeletal remains of another body were found with Cher. Winner tells FOX 2 News that police are calling Reese and his wife suspects in at least three murders and possibly many more. The case is all over the headlines in Panama and Winner says police think “Wild Bill” may be a serial killer. “That is absolutely the concern. Right now the number one priority is to capture this guy, catch him, find out where he is and get him in handcuffs, him and his wife.” said journalist Don Winner. Winner tells us police suspect Reese and his wife are killing people to steal their property. Cher Hughes owned a hotel. Reese was talking to her about buying it the night she disappeared. Reese and his wife are now on the run. FOX 2 News has learned that investigators found documents at Reese’s home that make them suspect he may be involved with other murders. Cher’s husband is in Panama working with authorities. Everyone should be on alert in case you come across these two and should notify the FBI in Panama City (507-207-7000) if they know their whereabouts. Ad posted by Wild Bill - Truth in Advertising? An ad published in the August 2009 Bocas Breeze presented the Jolly Roger Social Club as the only expat membership club in Bocas with the slogan: ”Only 90% of our members survive.” It advertises plenty of dock space, mooring balls, 24-hour security, hotel rooms, a swim platform, horseback riding and poker nights, and states the location as Cauchero at Cutthroat Cove. A young Southern Right Whale is seen jumping out of the water between Robben Island and Blouberg, off Cape Town, South Africa, on Sunday. The whale then landed on a yacht belonging to Ralph Mothes and Paloma Werner, breaking the steel mast. The whale swam away and the couple was not injured. A South African couple was out sailing near the country’s infamous Robben Island when a 40-ton whale breached and crash-landed on their yacht. “We were watching the whale flipping its tail for about half an hour,” said Cape Town Sailing Academy Administrator Paloma Werner, who was enjoying a Sunday sail with her boyfriend and sailing instructor, Ralph Mothes. “It reached about 100 to 200 meters from us, then it disappeared under water and reappeared about 10 to 20 meters from the boat, but we didn’t think we were on a collision course,” she told msnbc.com. The young Southern Right Whale was longer than their 10-meter yacht — most likely between 11 and 14 meters — Werner said. “My boyfriend told me to go to the other side of the boat,” she said, explaining that they thought it would dive under their vessel. “All I heard him say was ‘Oh sh*&,’ and I saw the whale come out of the water and crash against the mast of the boat. “I ducked behind the coach house and my boyfriend ducked behind the steering wheel and we saw the mast crashing toward us and the whale slip back into the water,” she said. “Bits of black whale blubber and barnacles,” were strewn on the boat deck, but the couple did not see any blood in the water. “The whale might have gotten a scratch and a bump on its head, but it surfaced again, so we don’t think it was harmed,” she said. The whale destroyed the yacht's mast and damaged other parts of the boat as it thrashed about on the deck before going back into the water. The couple reported that the whale left some skin and blubber behind. Adrenalin propelled Werner and Mothes through the next few minutes of checking the structure the boat for damage and leaks. Fortunately, the steel vessel did not take on any water and they were able to navigate it back into Table Bay Harbor. “Only that evening did we really think about it, and when we saw the photo (taken by a tourist in a nearby boat) in yesterday’s paper did we realize we were lucky to be alive,” Werner said. The boat, with its collapsed mast, is seen docked in Table Bay Harbor. Photos Courtesy of Paloma Werner and MSNBC. Be careful out there! Try to stay at least 2 boat-lengths away from whales or they might figure out what this whale learned – sailboats’ masts make good scratching posts!